Thelma L. Elliott, age 86, of Jasper, Indiana, passed away at 7:40 a.m. on Tuesday, August 14, 2018, at Northwood Retirement Community in Jasper, Indiana. Thelma was born in Jasper, Indiana, on August 3, 1932, to Louis and Clarissa (Giesler) Vonderschmidt. She married Alva Earl Elliott on April 7, 1951. He preceded her in death on January 13, 2004. 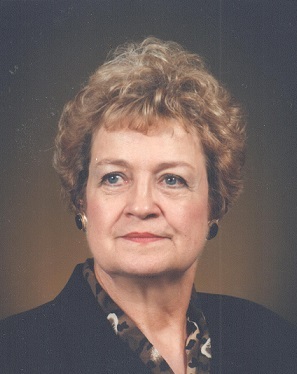 She was a 1950 graduate of Jasper High School. Thelma was a homemaker and member of St. Joseph's Catholic Church in Jasper. She enjoyed sewing, cooking, crafts, and spending time with her grandchildren. Surviving are one daughter, Janet (Robert) Begle, Huntingburg, IN, three sons, Earl (Tina) Elliott, Terre Haute, IN, Steve Elliott, Indianapolis, IN, Kenny (Lisa) Elliott, Jasper, IN, 12 grandchildren, 11 great grandchildren, one sister, Mary Rita (John) Wadsworth, Spring Hill, TN, and one brother, Donald Vonderschmidt, Jasper, IN. Preceding her in death besides her husband one daughter, Cindy Mitchell, one son, Phil Elliott, one sister, Imelda Hadden, and one brother, Claude Elliott, who died in infancy. A Mass of Christian Burial for Thelma Elliott will be held at 9:30 a.m. on Saturday, August 18, 2018, at St. Joseph's Catholic Church in Jasper, IN, with burial to follow in Fairview Cemetery in Jasper. A visitation will be held from 4:00-8:00 p.m. on Friday, August 17, 2018, at the Becher-Kluesner Downtown Chapel in Jasper. Memorial contributions may be made to St. Joseph's Catholic Church, Northwood Retirement Community, Alzheimer's Association, or a favorite charity.